Brad McDill is a native to the Jackson, Mississippi area. His primary practice focuses on civil litigation, where he represents both individuals and corporations. His practice is conducted in Federal and State Courts. 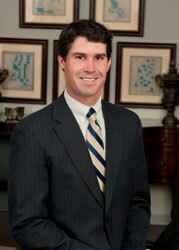 Brad has successfully prosecuted and defended cases through all phases of litigation. His primary practice areas include product liability, personal injury, contract disputes, and general civil litigation. Brad also took an opportunity to practice in St. Louis, Missouri where he became licensed in both Missouri and Illinois.